That’s where we come in. 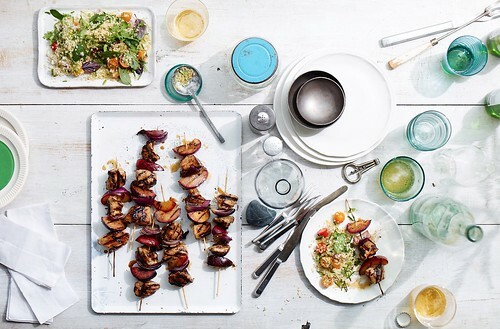 FreshDirect has all your summer share food needs covered so you can spend your summer doing your favorite things with the people you love. Before you head to the Hamptons for the weekend, check off these easy to-dos to make your weekend easy and delicious. Create an email address, such as summerhouse2014@gmail.com, that you can use for a shared FreshDirect account. Allow all houseguests to log on and put their must-haves in the cart. Designate one lead person to review the cart (to make sure their aren’t duplicates or errors), select a time slot, and submit their order. Don’t want to figure out who owes what to who each weekend? Instead, pool money from all housemates in the beginning of summer to buy a FreshDirect gift card to pay for groceries. If that number seems like a lot, and it probably does, fear not! Buying in bulk will make things easier and cheaper. We’ve got meat, produce, drinks (and booze! ), and more in bulk. Plus, if you’re hosting a party, we’ve got that covered too with our catering platters. On your way home from your epic, food-filled weekend, download the FreshDirect mobile app to place your order and lock in a delivery time for the following weekend. You and your housemates will be able modify the order all week long. For more inspiration to help you celebrate this summer’s best, check out our 100 Joys of Summer!